Greater Palm Springs Pride announced today the recipients of its 2018 Pride Honors Awards. 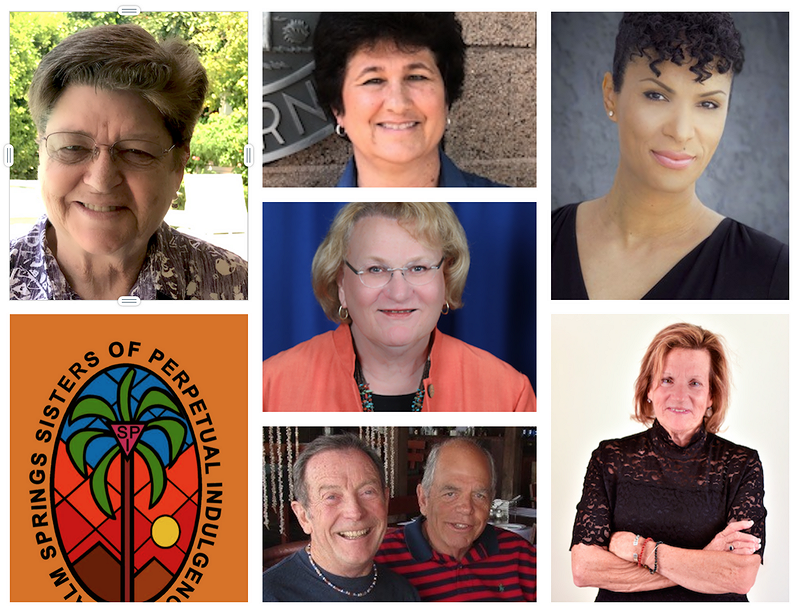 The prestigious Pride Honors are presented annually to individuals to recognize their efforts in raising awareness and furthering the causes of lesbian, gay, bisexual and transgender individuals and their allies. 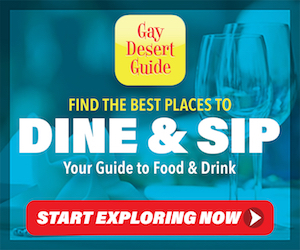 The awards ceremony is September 26, at the Hilton Palm Springs. Five of the seven awards celebrate exceptional women from all walks of life who are making a difference for all residents of Palm Springs. Award recipients include two educators who have influenced generations of youth, and a local chapter of a worldwide nonprofit organization. Recognized as the Advocate of the Year, Lisa Middleton became the first transgender person ever elected to any non-judicial office in California when she was elected to Palm Springs City Council in November 2017. Whether it’s advocating for the right to equality, freedom from discrimination and standing up for the right to marriage and family, Lisa is an active community leader who works tirelessly building bridges within the community and promoting collaborative relationships between neighborhoods and the people of Palm Springs. From selling Girl Scout cookies to documenting the life stories of lesbians, Sherry Fulton is a behind the scenes volunteer who demonstrates leadership by helping others. As a dedicated community volunteer she is recognized as the Spirit of Stonewall Volunteer of the Year. Recognized as an up-and-coming leader, who aspires to further the rights and medical care of transgender people in the world, Lena Ingram is the recipient of the 2018 Emerging Leader Award. The 2018 Friend of Pride is Lynn Hammond who is an inspiration to others for her community involvement, volunteerism and for defining what success looks like when you are a socially minded, women-owned business entrepreneur. The Spirit of Stonewall Community Service Award recognizes Denise Goolsby, a twenty-two-year resident, community leader and advocate who works to improve the quality of life, in Palm Springs, for all. Lifetime Achievement Awards will be presented to Doug Hairgrove and Warren “Woody” Wood, who have devoted their lives to teaching and mentoring youth. Recognized with the Community Service Award is Denise Goolsby. Celebrated as the Organization of the Year, the Sisters of Perpetual Indulgence is a charitable organization that has participated in many community events throughout the Coachella Valley and over the last ten years has raised $100,000 for LGBT charities. 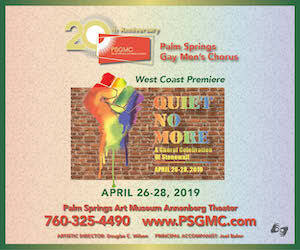 The prestigious Palm Springs Pride Honors Awards are presented annually to individuals to honor the work they have put into furthering the causes of lesbian, gay, bisexual and transgender individuals and their allies. The awards reception will take place September 26, 2018, 6:00 pm – 7:30 pm at the Hilton Palm Springs located at 410 East Tahquitz Canyon Way, Palm Springs. Tickets are available online at http://bit.ly/pshonors15. Proceeds from the reception will support the Pride organization’s efforts to foster Pride in and respect for the region’s LGBT communities.